So I just finished the above sweater … it’s a bulky weight acrylic so washes and dries easily … and this might just be my go-to sweater as winter continues it’s cold, death grip on the NoVA area! 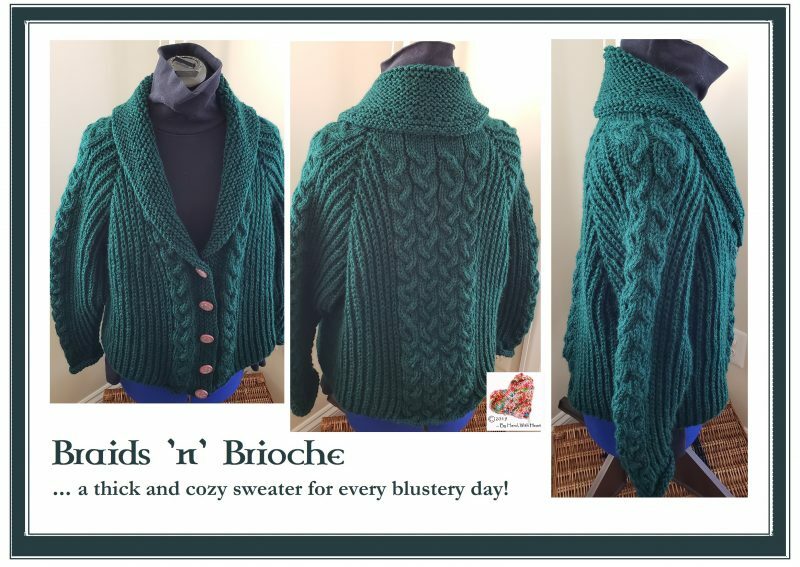 I used Knit Picks “Brava” in a gorgeous hunter green … a bulky weight yarn that really knits up nicely, with great stitch definition and amazing washability. 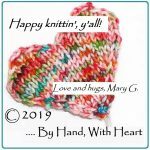 Half-brioche (like JP’s Beanie) stitch gives it a sporty feel (while insulating nicely) and cables add a dash of sophistication and interest. This sweater, knit from the top down is self-finished with minimal seams. The deep, shawl collar, is the finishing touch. Pattern soon …. I’ve started binge-reading Agatha Christie again. A few years ago, I read every Miss Marple and Poirot written. This time around, I am focusing first on her Tommy & Tuppence novels – fresh, homemade Broccoli and Cheddar Soup in homemade/scratch bread bowls. It was perfect! It made a huge batch … but this was all the soup that was left after Rick and JP got to it! I’ve already started another knitting project … a shawlette using a solid and a multi-colored sock yarn. Will post pix soon. So, what are you up to? Let me know in the comments …. Yum, yum, YUMMIE!!! You won’t believe this, but I finally learned the knack of cables!!! Next is SOCKS! Way to go, Linda! I’m so proud of you. Everytime I put a zipper in a sweater, I think of teaching you in the back of Dog House … you have come a LONG way, kiddo!